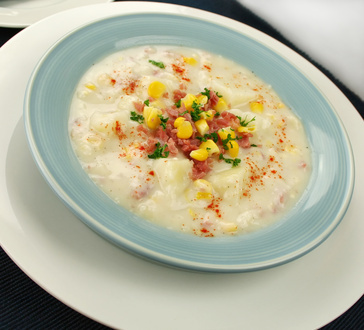 Toss potatoes, broth, corn, salt, and pepper into a slow cooker on high for 7-8 hours. Top with bacon bits and cheese. You can also add a dollop of sour cream for extra tastiness!